​The picture on the left is from the Duke University Business Center. 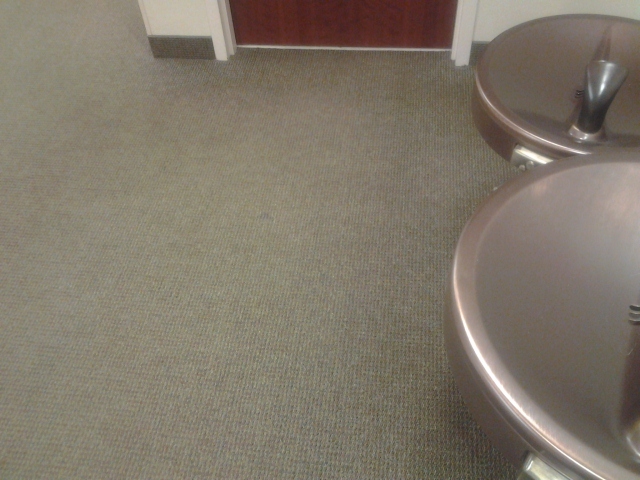 They were considering replacing the carpet because it had "uglied out." NRCC to the rescue! 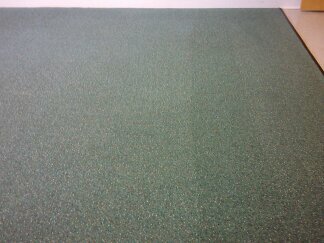 After our cleaning process, it brought it back to life. Look how the colors in the swirl design "pops out" once it was properly cleaned. There was zero down time for the school, as our commercial process can be done while business is in session! We provide services for many daycares, assisted living institutions, gyms, resturaunts, and banks, as well as for Highwoods Properties. Please call us to schedule your free estimate! 919-522-0707. 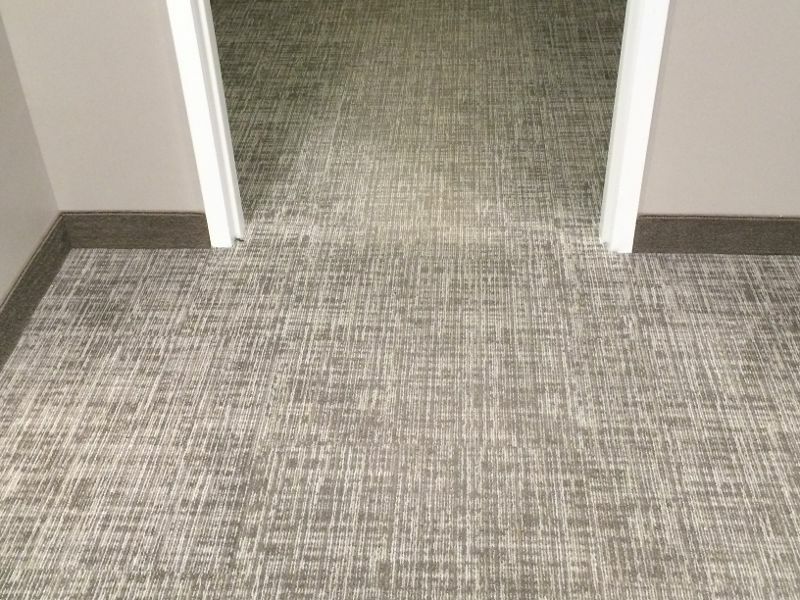 What do your clients see when they walk in to your facility? What is their first impression? If you use North Raleigh Carpet Care, they will see a clean well maintained facility. It is hard overcome those first impressions! 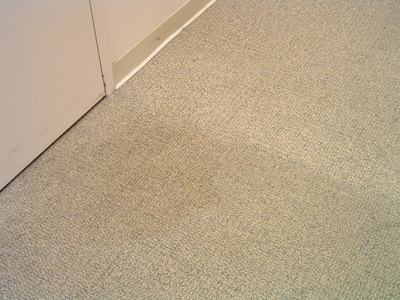 Don't let dirty carpets give your customer a bad impression about your business. 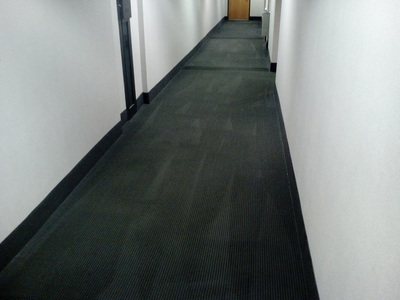 Well cleaned carpet shows that you go the extra mile to maintain your investments. Thats a good first impression to give! Your employees will enjoy a cleaner working environment, and better Indoor Air Quality. Carpet really acts like a big air filter. It holds dust, dander and other pollutants. Thats a good thing! 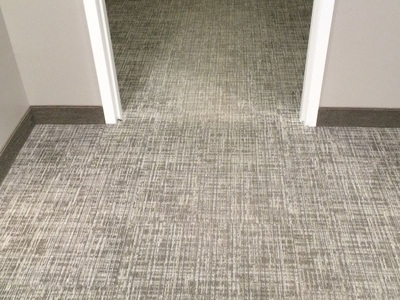 Cleaning and maintaining the carpets will remove these pollutants in the office environment, making it a safer and a healthier place for you and your staff. It also means a better ROI, which certainly keeps the CFO happy! Consider using North Raleigh Carpet Care to maintain your facility. We can customize a treatment plan to ensure heavy traffic areas are maintained on a more consistent basis and lighter traffic areas can be maintained on a less frequent basis. 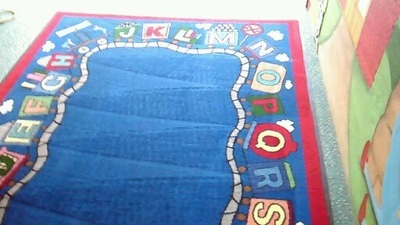 We use Carpet Rug Institute approved cleaning methods and solutions. 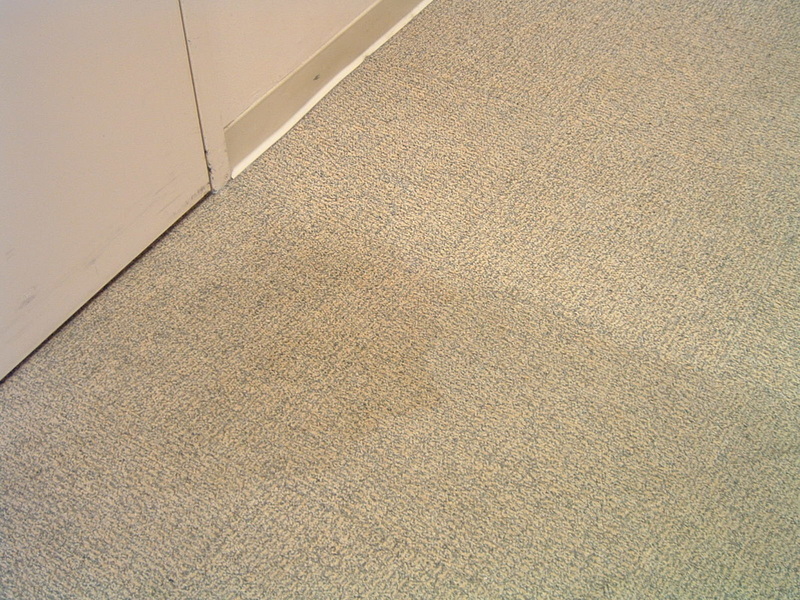 Our commercial cleaning system is a powerful low moisture process, (Unless otherwise needed) ensuring a safe application for use around desks and computers, as well as carpet that is dry to the touch usually within an hour! 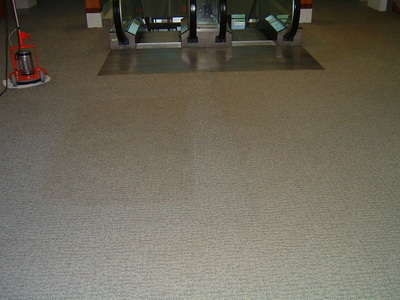 This allows areas to be cleaned when the facility is still in operation which means zero down time. 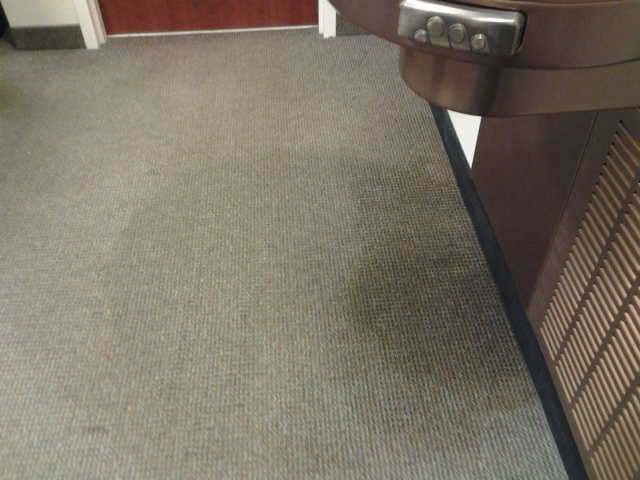 I clean the carpets while employees are in the building! Additionally, part of my process adds an advanced Fluoro-Protector (Like Scotchgard but more environmentally friendly) to the carpets to assist in preventing the carpets re soiling as quickly. 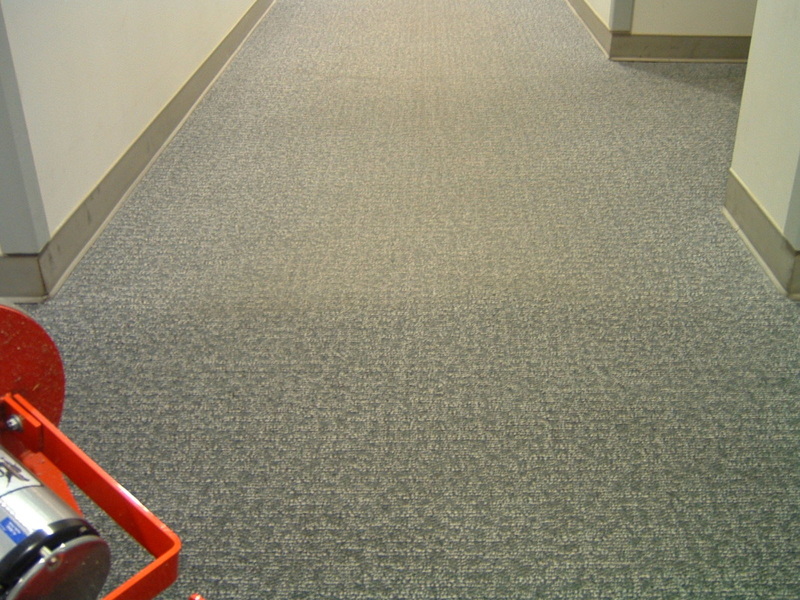 Contact me directly to discuss how we can keep your facility looking clean and fresh. 919-522-0707 You may also click here to email me directly. I look forward to serving you!